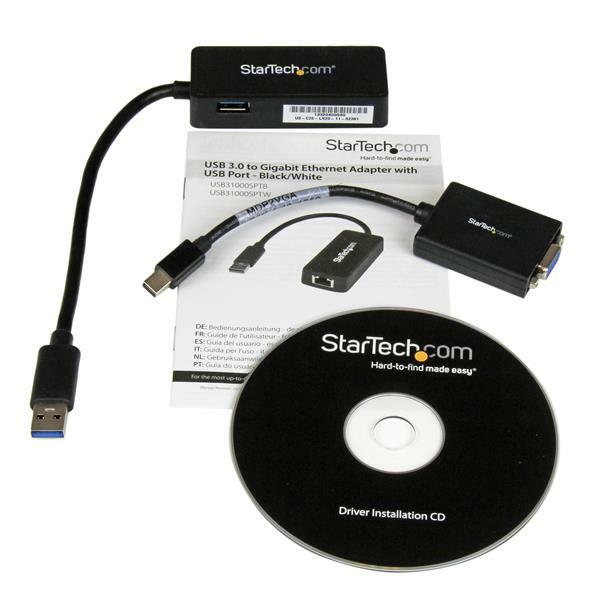 The LENX1MDPUGBK Accessory Kit for the new Lenovo® ThinkPad® X1 Carbon 2 is an add-on accessory bundle containing two StarTech.com adapter products that let you extend the display and network capabilities of your port-limited Ultrabook™. 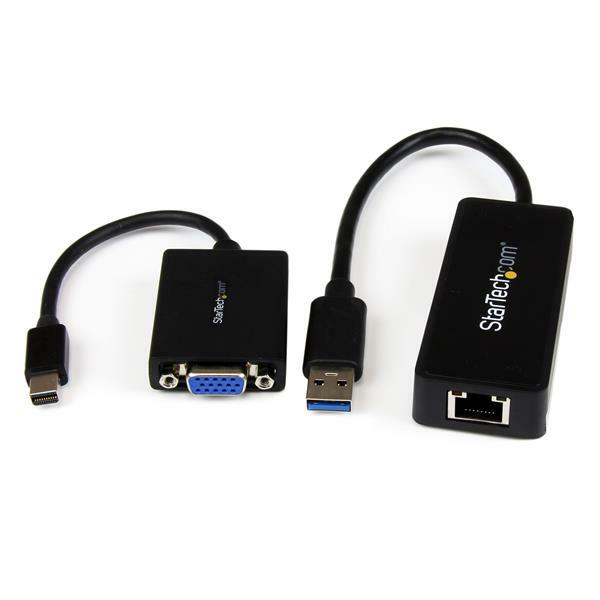 The kit contains a Mini DisplayPort to VGA Adapter, which lets you connect your Lenovo X1 Carbon 2 (or similarly configured Ultrabook / laptop) to an external VGA display or projector through Mini DisplayPort. 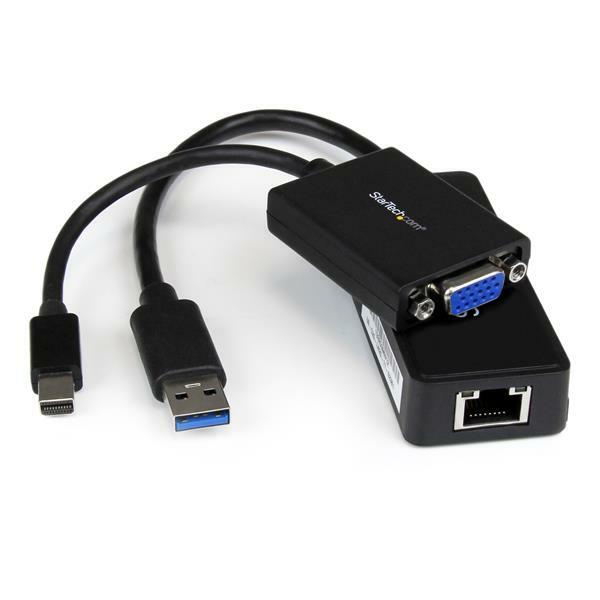 Also included is a USB 3.0 to Gigabit Ethernet Adapter with an integrated USB pass-through port, which can be used as an upgraded alternative to the adapter that’s now included with new X1 Carbon 2 systems, or as a replacement for a lost adapter. The pass-through port lets you use a wired Gigabit Ethernet connection without sacrificing your USB 3.0 port, leaving it available for other peripherals. Though extremely portable, Ultrabook systems sometimes lack the necessary ports to connect to various desktop displays/projectors and wired networks when traveling between boardrooms, home / remote offices, trade-shows, hotels and conference centers. 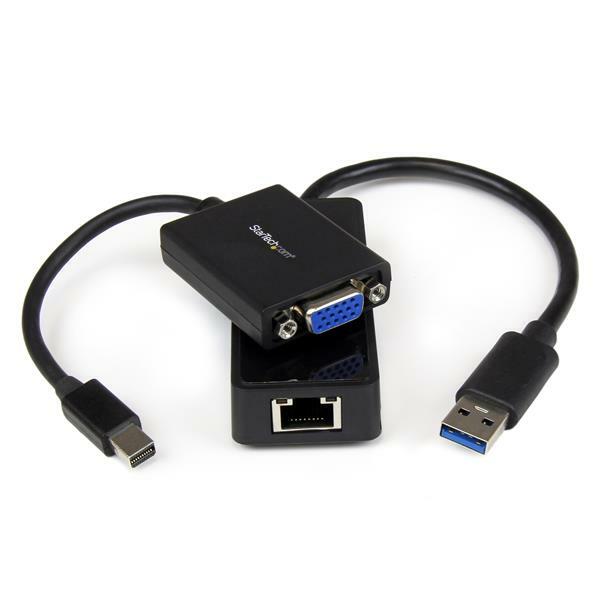 We designed this bundle of Ultrabook accessories to provide the missing connections most commonly needed among mobile users, to prepare you for almost anything.